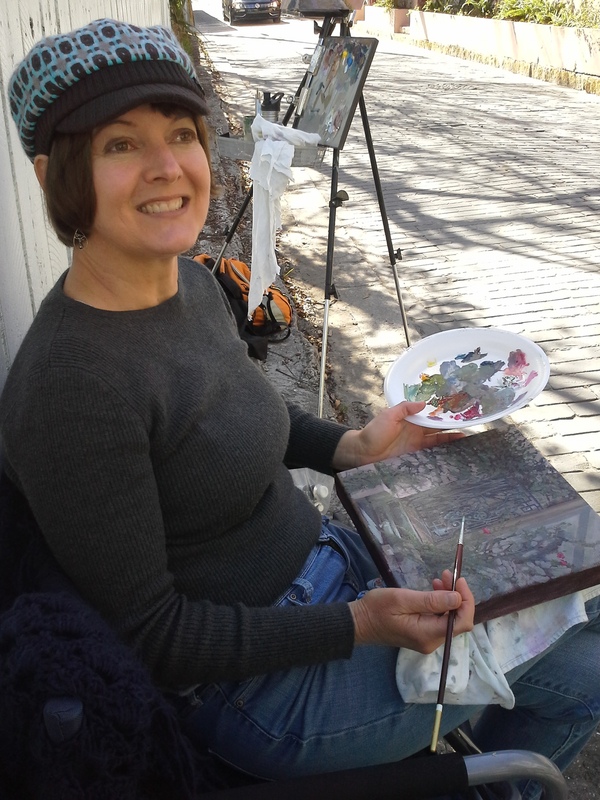 Plein Air painting has been a tradition in St. Augustine since the area became “civilized” with hotels, electricity, and basic european-style luxuries. Henry Flagler supported artists when he built a section of the Ponce de Leon hotel to include a Northeastern wing of artists studios in 1887, inevitably hosting our town’s first art walks (more of a high-end-elbow-rubbing-champagne-sipping-silk-ruffled-promenad of whos-who in wealth, my how times change). The hotel is now Flagler College. It is on the U.S. Register of Historic Places, and is designated as a U.S. National Historic Landmark. Several buildings around town possess a flair for Spanish Colonial Revival architecture, but none are quite as grand as Flalger’s hotel. Reflect with me for a minute. It’s not just the architectural designs throughout downtown that grip the nostalgic soul…or navigating narrow streets, in varied ratios for bricks and asphalt, that align with inconsistent angles…or even the muted turquoise/butternut/rose hues across the sky during dawn and dusk…or the sharp textured coquina of the Castillo de San Marcos (a 15 century star-shaped Bastion System situated on 20.5 acres along the bayfront). It’s more than photos of our downtown area, it’s a sense of place. It’s the magic of local courtesies, regular crowds and the palpable pulse of creativity projected by each enthusiastic artist. Our town faces more than the challenge of traffic and parking (I urge you to think outside the box with this and ride your bike, or walk), it’s about saving its soul. Saving the pulse of what makes it feel so beautiful. Trust me, I have been a lot of beautiful places that don’t feel beautiful. You can still celebrate a little bit of the down-home with solid architecture and thoughtful urban renewal. I love Hypolita Street and Aviles Street when compared to the topographic bumps and irregularities evident just ten years ago. Most of all, people who care still nurture the creative force of progressive talent and design, preserving and protecting what already works. Sometimes it’s something simple like the flower garden surrounding the Bayfront Marin House at 142 Avenida Menendez. A few months ago we coordinated a group of Plein Air artists to meet for a morning session at Bayfront Marin House. Thank-you, Sandy and Mike (owners) who were so supportive to our group of inspired artists. It’s clearly evident with the help of supportive folks who really want to bring back the local tradition of Plein Air painting throughout downtown (I’m talking about painting, not selling artwork), it can happen. 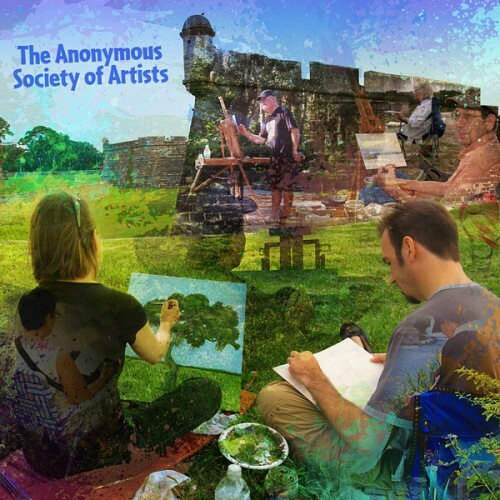 The collective efforts of coordinators (me included) for the Anonymous Society of Artists is reviving some of that heart and soul with its mission. The idea is to bring artists together and nurture traditional methods of depicting our favorite spots, no fees and no membership–just show up with your inspired soul and art supplies. It’s what makes our downtown district so unique, the physical evidence of that creative force. It’s what tourists want, it’s what locals want. Thank you to our new City Mayor and City Commissioners for implementing positive changes for our local community of artists.